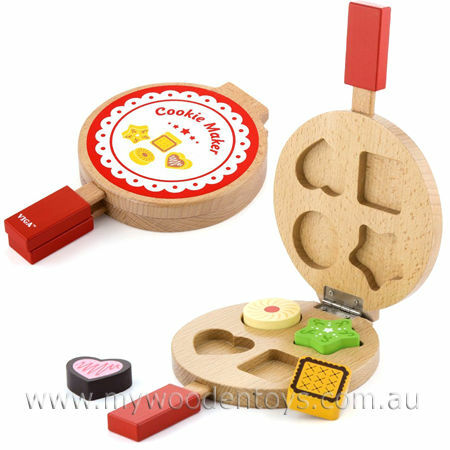 Cookie Maker Shape Sorter is a very creative re-making of a classic shape sorter in the form of a cookie making pan. The Cookie Maker has recesses for four shapes, star, heart, square and circle. You fit the shapes into the correct hole and then the lid on the cookie pan will close. A wonderful role-play cooking toy which encourages shape recognition and fine motor skills. Size:24 x 14 x 3cm. We like this because: "Great cooking, role-play and shape recognition toy."